Fantaisie. A short fantasy for trumpet and piano. 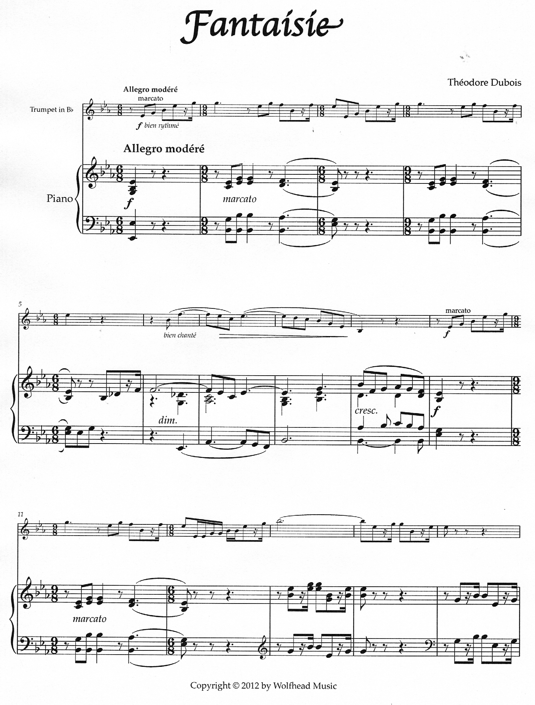 Originally composed for chromatic trumpet in C, this version is for B-flat trumpet and piano. Performance Time: App. 4½ min.